In March of 2017, Of Marshes and Morros debuted at the San Luis Obispo International Film Festival to a full house. There, it earned accolades from the crowd and won the award for Best Documentary Short. In April of the same year, officials chose the film from thousands of entries to show live at the Los Angeles Independent Film Festivals where it won both Best Documentary Short and an additional award for Best Cinematography. The documentary is very close to our hearts at the Estuary Program because it tells how the community banded together to protect and restore the Morro Bay estuary for today and for future generations. These community members (literally, thousands of people) worked hard to gain recognition for our small but biologically diverse and precious estuary at both the state and national levels. 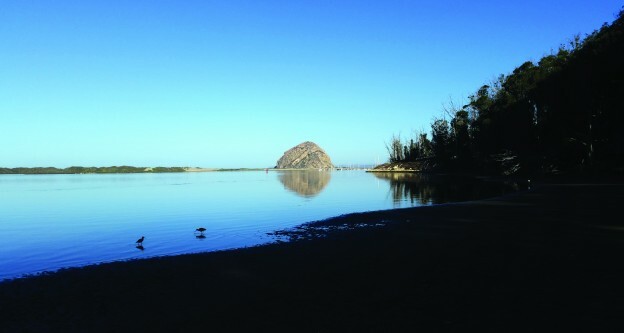 Their work culminated in Congress’s designation of Morro Bay as an estuary of national significance in 1995, which allowed for the formation of the Morro Bay National Estuary Program. Today, on the second anniversary of the film’s debut, we’re sharing this story of community solidarity and stewardship of our natural resources. We hope this film will remind you of what makes our community, the Morro Bay estuary, and the lands that surround the bay so special. Watch Of Marshes and Morros here. If you’d like to learn more about Of Marshes and Morros, read this blog post to learn what inspired local filmmakers Simo Nylander and Tom Wilmer to create this film and how they raised the funds necessary for the project. Come see S.L.O.P.E.’s show Flowing Estuary to Living Sea, at the Morro Bay State Park Natural History Museum now through March 31, 2019. A portion of proceeds from art sales will benefit the Morro Bay National Estuary Program and the Central Coast State Parks Association. We hope to see you there! On Saturday, March 30, you can even meet the Plein Air painters in person at the closing reception. Just stop by between 1:00 and 4:00 p.m. to say hello!